Navigating the Threshold is a seven-session program designed for individuals or groups who either find themselves in or wish to create deep change in their lives. Using both ancient and cutting-edge transformative templates in conjunction with various self expressive, creative, and reflective developmental tools and practices, we work with participants to channel the raw energy of change in a direction that can bring about new understandings and insights into one’s gifts and how those gifts can be of service to support the healing and transformation of the larger living systems of which we are a part—family, community, planet, cosmos. Through the proper integration of these insights and understandings a deeper sense of meaning, purpose, and belonging often begins to emerge for participants. The arc of this program is structured on Theory U by Otto Scharmer, a senior lecturer at MIT’s Sloan School of Management, which explores how individuals and groups can best tap into the creative impulse to catalyze generative change. The U Process incorporates three steps: 1) letting go, 2) sensing and 3) actualizing. This template also echoes the ancient threefold structure of the rite of passage ceremony found in many different cultures across the planet: severance, threshold, and reincorporation. The first three sessions are preparatory. They are meant to stir the interior soil and help individuals feel into their leading edge: what is ready to be let go of and what is ready to be embodied in fuller forms in one’s self, work, and relationships? 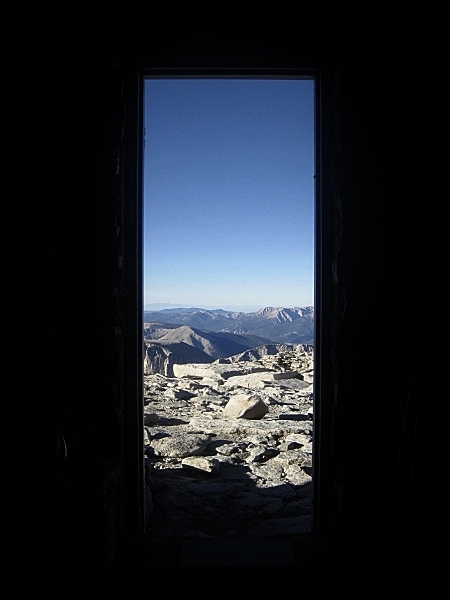 The fourth session marks the threshold or liminal space. This is the space of ceremony, betwixt and between what one was and what one is becoming. This session is co-designed by the facilitator and the participant and can take many different forms including but not limited to: a solo hike in the woods from sunrise to sunset, a two-day solo-fast, a dance, meditation, or yoga retreat, a stretch of solo-traveling, or simply distraction free reflective solo-time at home. What is important is that one finds respite from their daily routines and obligations to sink into a contemplative space where the analytical mind can rest and the emotional, somatic, soulful, and imaginative intelligences can step forward to guide the process of discovery. The final three sessions then deal with the challenge and privilege of reincorporation. How to take the insights gleaned from the threshold space and plant them back in one’s life, work, and relationships in ways that germinate positive individual and collective transformation. Facilitation: This program can be offered online or in person, or a combination of both. Each session is an hour long. The general arc of this program is consistent for every participant; however, the tools and methodologies used are often co-created to fit the needs of the individual or group, especially concerning the fourth session. Cost: This program operates on a sliding scale between $1,000 and $1,500. However, depending on the type of session co-created for session four that price may increase. For those that can’t afford the current pricing, still get in touch with us as we may have some scholarship funding available. To schedule a free consultation reach out to us at Innerwild.org@gmail.com.